Fleet is a town and parish in Hampshire’s Hart district, located in southern England not far from London. With a population of around 32,000 and so close to the capital, there’s a strong property market in Fleet. At My Home Move Conveyancing we’ve been developing our knowledge of local markets like Fleet’s since 2001, enabling us to bring our clients in the area an outstanding specialist, fixed fee conveyancing service. If you want to buy or sell property in Fleet, you’ll have to instruct property lawyers to carry out the legal work on your behalf. 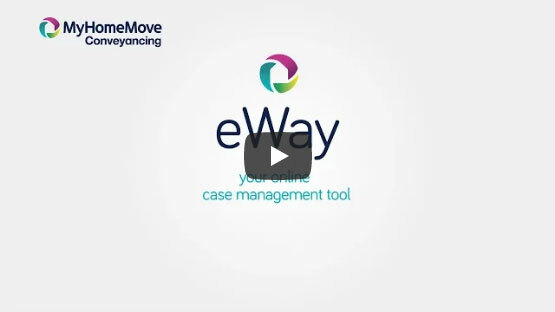 By choosing My Home Move Conveyancing as your Fleet conveyancers, you’ll gain access to our award winning customer service, innovative use of technology and expertise in the local market. Our professional, market-leading conveyancing service comes for a fixed fee, so you’ll know exactly what you’re paying from the start. What’s more, if you don’t end up completing, you won’t have to pay us a thing. We assign a dedicated conveyancer to all of our clients, who’ll look after your case from start to finish, and provide you with regular updates on your progress. At My Home Move Conveyancing, we bring a positive approach to everything we do, and get things right first time round. We’re delighted to provide our conveyancing services in Fleet to homebuyers across the area, from those looking for the convenience of the town centre with its shops to spots close to the train station, with good access to the M3 to the north of town and in neighbourhoods like Church Crookham. The average house price in Hampshire is £299,950, while in Fleet itself the overall average sale price during the last 12 months was significantly higher than this at £409,256. Detached properties were involved in the most sales, going for an average of £586,827, while flats fetched £245,595 and semis £391,973. With a name thought to be derived from the Norman French word for a stream, in reference to the Fleet Pond, the modern town is considered a great place to live. The Halifax Quality of Life study has consistently found the Hart area to be the best place to live in the UK, of which Fleet is the main town. Part of the appeal is its proximity to London, making Fleet a viable place to live among commuters to the capital. There are excellent transport links which you can use for getting into London, with trains to the capital’s Waterloo station taking around 45 minutes. The M3 motorway passes to the north of town, which provides great access to London as well as the M25 ring road. When it’s time for you to go on holiday, Heathrow Airport is just over 20 miles from Fleet. The town also offers some great schools for families with children to consider, with Elvetham Heath among the highest rated primary schools. All Saints CofE, Church Crookham Junior and Velmead Junior are other options for younger children, while secondary choices include Court Moor School and Calthorpe Park School. St Nicholas’ School meanwhile is an independent school for girls on Redfields Lane to the southwest of town. All properties in Fleet will fall within one of the following council tax bands.